When I go ice fishing, I like to use a ¼ oz. drop weight. 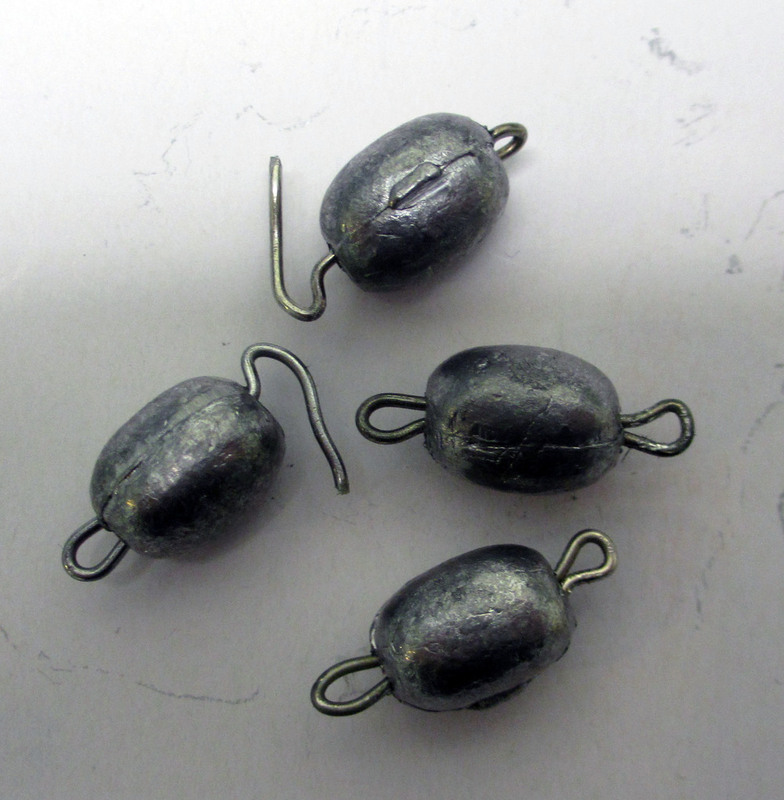 It gets the bait down faster through the ice hole, but it is hard to find a drop weight with an eyelet on both ends. I’ve found that by using a ¼ oz. egg weight, a paper clip, some needle-nose pliers, and some side cutters that it is quite easy. Install two eyelets in the egg weight by unfolding the paper clip, leaving the small end in a hook. This will be your first eyelet. Feed the loop through the egg weight making sure the end of the loop is inside the weight. Bend the straight end about ¼” from the weight, making the second loop. Cut off excess (about 1 ½”) leaving enough wire to feed back into the hole and make another loop. Tuck the cut end into the hole enclosing the end of the wire. I have never had one come undone, and it works better than pinching a split shot on the line.